“Officers, what offence have these men done? I think Alfred Hitchcock once said, “What is drama, but life with all the dull bits cut out?” My life, like all of yours, is part dull bits, part drama. I rarely write about the dull bits. It’s waffle. It’s the same every day. You’d stop reading. The dull bits can drown you, but they are inevitable. Work, commute, budgeting, filing, bad hair days, wardrobe crises, house work, meetings, paying bills … then you blink and a whole month has gone by! February, in the Northern Hemisphere, is arguably the dullest of all months – well documented in psychology annuls as a time of human hibernation and notorious for low spirits. So… Hubby and I have tried to be a bit more proactive with our free time. Nearly 100 acres of wilderness, a large part of which is wetland in nearby Barnes (3 miles from us). It was created out of four disused Victorian reservoirs tucked into a loop in the Thames – a haven for twitchers or birders. 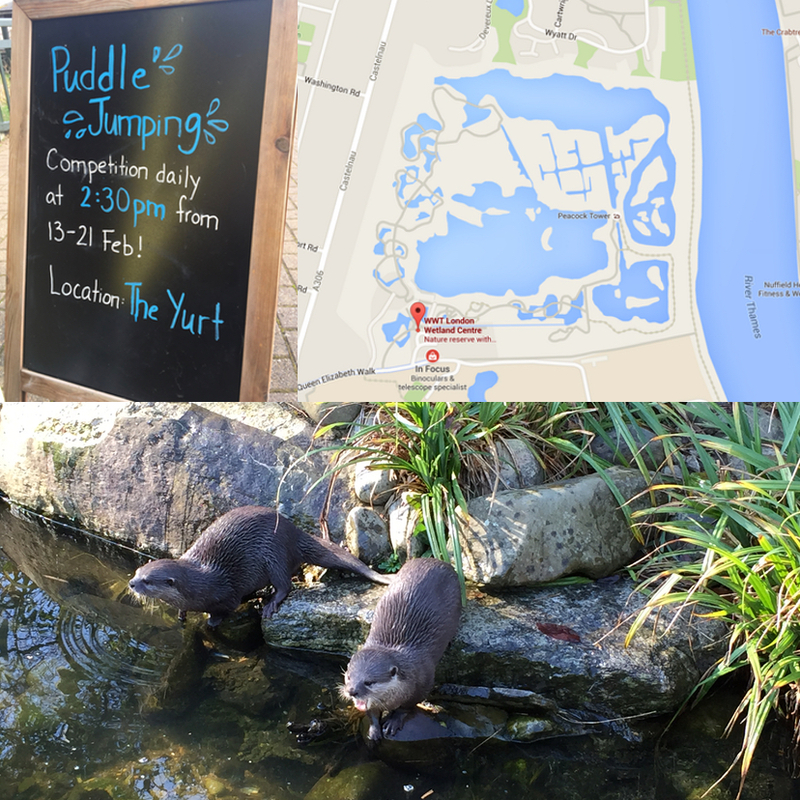 There are birds and ducks there I’ve never heard of before, two cute little Asian Short-clawed otter, bats, hides, nature trails and a sunny café. We go quite often to relax, read in the café and take strolls – amazing that this gem is in the middle of the concrete sprawl of West London. The Hampstead Heath area (made famous in the film Notting Hill) is a refreshingly hilly part of North London with large, red bricked terraced homes and quaint village patisseries. My favourite underground tube line, aptly named London Overground, passes through Hampstead. Sigmund Freud lived here in Maresfield Gardens road for the last year of his life after fleeing Austria with his family in 1938. His daughter, Anna, continued living there after his death and the house was preserved as a museum after her death. This is one of London’s many quirky, lesser-known museums. 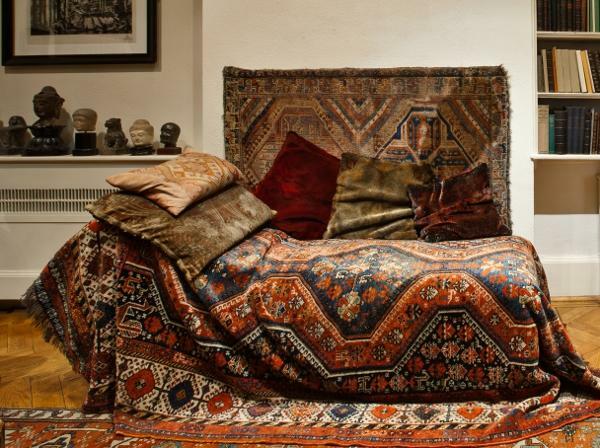 I’d recommend a visit for the chance to see Freud’s famous psychoanalysis sofa. Then you can take a walk into Hampstead village to take in a film at the fully licensed, be-sofa’d Everyman Cinema, followed by tea and a handmade Hungarian cake at Louis Patisserie. Better to visit in Spring and Summer months, but it makes for a super winter walk equipped with good shoes, a warm coat and gloves. About a 40 minute drive out of London you will find this beauty on the southern tip of the Great Windsor Park near Ascot, Windsor and Eaton. A walk around the whole lake is nearly 5miles. Like I said, good shoes (we didn’t walk the distance because I was in boots with heels). You’ll share your walk with runners, photographers, cyclists and dog walkers. There is an abundant supply of exercise and fresh air, but the occasional hazard of a wet dog almost knocking you over as it dashes for a duck or a stick thrown into the lake. On a wet windy Valentines weekend we ventured to the Greenwich Maritime Museum. We went to see the Samuel Pepys (pronounced peeps) exhibition – plague, fire and revolution as told through his famous diary. The plan was: museum during the day and the Royal Court Theatre the evening – a lovely Valentines plan. 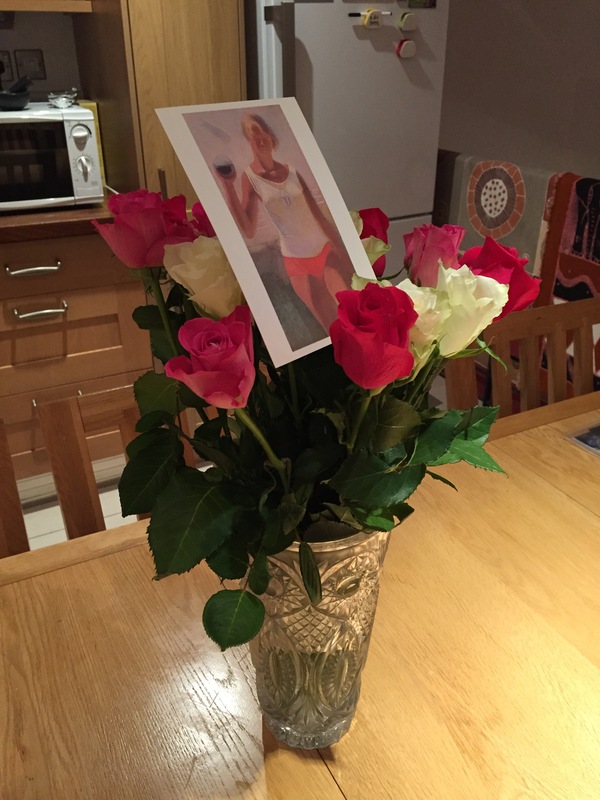 Being Valentines Day novices with a tendency to skip the day altogether, it’s no surprise that our plans went awry. At about 4pm, I checked the theatre tickets to confirm whether the play was at 7pm or 7:30pm. My heart dropped when I discovered we were booked to see the matinee at 2pm! The tickets were a birthday gift to Hubby from his parents. Eeeeeek! We rushed to the theatre with our tails between our legs, fully expecting to pay for new tickets. To our surprise, the ticket lady took pity on us and swapped our tickets to the following Saturday at 7:30pm. Pheeeewwww! A chance for a re-do. Of all the days out, this is my favourite. After a freezing 20 minutes queue in the rain, we descended the steps into the Westminster bunker where Winston Churchill spent the bulk of his time from 1940-1945. Here he made decisions, held smokey meetings, strategised, ate and slept along side a 400-strong community of staff and leaders, hidden from the enemy and secreted away even from fellow Londoners. 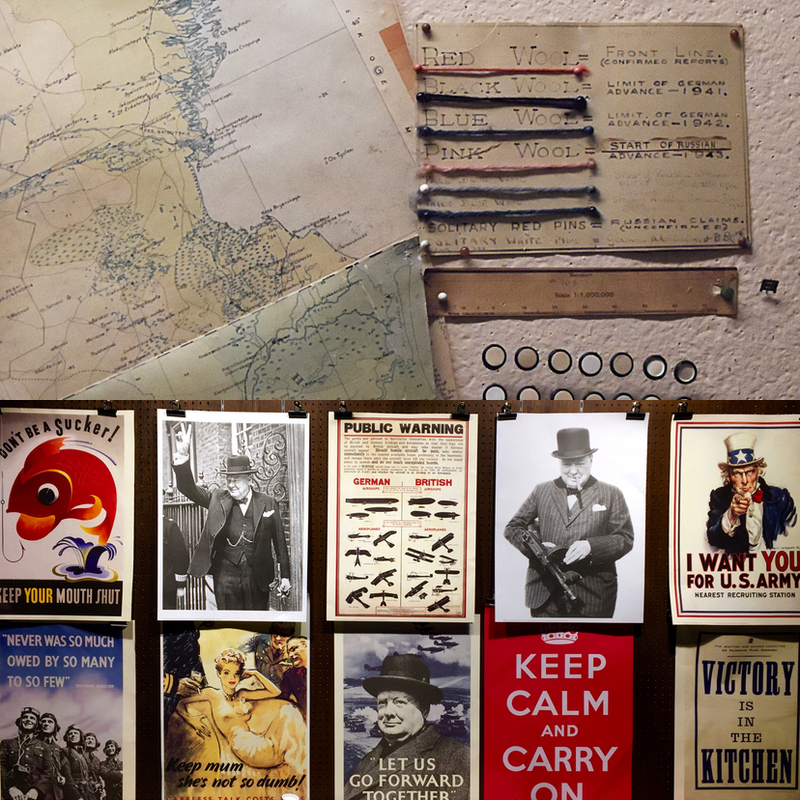 The map room, bedrooms complete with chamber pots, the war cabinet room with ashtrays on every table, dining rooms, kitchen, transatlantic telephone room disguised as a toilet, planning room and Mrs Churchill’s bedroom have all been left pretty much as they were in 1945. As close to time travel as I’ve ever been! Worth every penny of the £19 entrance fee (£17 without Gift Aid) – Eek! We did make it to the theatre that evening to see Linda Bassett in Escaped Alone. This turned out to be a strange play about four older ladies sitting in a back garden in summer, talking over one another rather than to one another about trivial matters, each going through their own personal crisis – memorable among these are a fear of cats, a husband killer and “TERRIBLE RAGE” (repeated with red face). 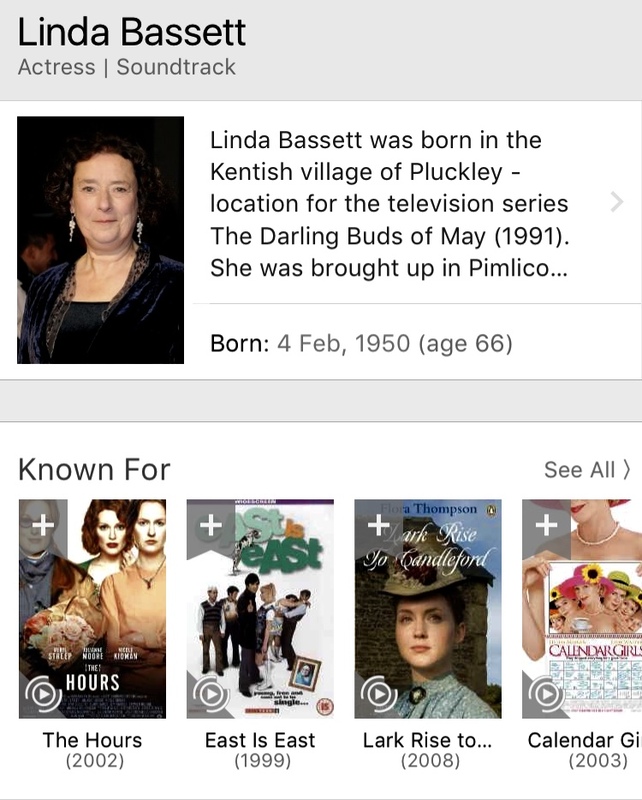 The action swung back and forth from the set of the four ladies in the garden, to Linda Bassett’s soliloquies on a dark stage with a TV-shaped frame of flashing neon light (hard to explain). About 4/5’s of the way through the play we heard (and felt) a heavy thud from the dress circle above, then some commotion which actually distracted the actresses, though they remained calm and professional. House lights came on and the stage director, avec head-set and mic, stepped on stage. The play would be, “stopped due to a first aid issue”. Actresses were led off the stage and audience fell into a frenzy of whispered conjecture. It emerged from an usher nearby that someone had collapsed and the ambulance had been called to remove them – apparently this is not the first time this has happened in the run of the play since the flashing lights have triggered some epileptic fits! Drama! On our way out, we brushed past a bearded Pierce Brosnan. A little #starstruck, I may have overreacted with excitement? Needless to say, Hubby was not as impressed as I, but still, a good day out was had by both. Give me drama any day! P.s. Greenwich is superb in better weather – the park, the Observatory, stand astride the plumb line with one foot in each hemisphere (east and west), explore the Cutty Sark. P.p.p.s. Warning: If you are planning to do days out in the UK, best get a good brolly! P.p.p.p.s. The image of Freud’s couch is not mine – no photos allowed. I borrowed from Google. It is good to sometimes be a bit of a tourist in your own town. Love these off the beaten track ideas. And I must echo your sentiments, really enjoyed Greenwich when I visited these a bejonker ago. I so enjoyed your sight seeing blog post , great to be a tourist and have such fun. You enlighten me with your news and thoughts, and I wish I could be just a tad bit cooler than we are at the moment. It is so hot here. Enjoy your time and make the most of every minute. I do!!!!!! !